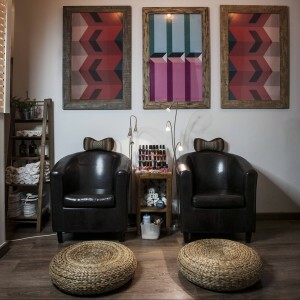 During the last two months I decided to go and find the best Spas in Barcelona for you. I contacted all of the Spas that have a half good recognition on google. A lot of them were drilled to work with me and invited me to try their services. I am only including in this article Spas, that I have tested myself. This might leave some good Spas out of the list, but I want to tell you only what I am 100% certain about. My Personal favourite of all the Spas that I have tested is the Aqua Bliss Spa. That is also why I have tried my best to get you some discount there! If you book any treatment you will get 10% off just by saying the coupon code “Be-Sparkling” till the end of April 2016. Have fun! 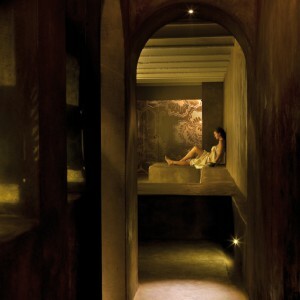 The Aqua Bliss Spa is not a typical Spa with Hammam and Sauna, but it offers the beast treatments in my opinion. The location is comforting and created by an Italian interior designer. David, the owner is very welcoming and has interesting stories to tell! Don’t forget to ask him about his experiences in Indonesia if you get the chance to. The girls that are working there are super friendly and will directly offer you a cup of tea or glass of sparkling wine. Wifi is offered and works all through the venue. For me it was the best massage and treatment I have received in all the Spa’s I visited in Barcelona, that is also why I have tried my best to get you some discount there! If you book any treatment you will get 10% off just by saying the coupon code “Be-Sparkling”, valid till the end of April 2016. Have fun! Read all about my experience and the single treatments here. 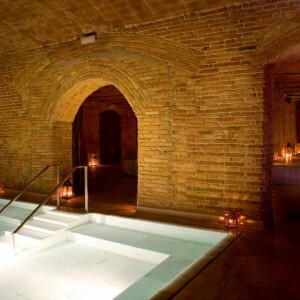 The Rituels d’Orient is a beautiful Hammam close to Diagonal. The people working there are friendly and welcoming. The place is warm and has a magic atmosphere. You’ll get the way showed down to the Hammam, where they explain you to first stay some minutes in the cold water before entering the Hammam. After the Hammam in the general ritual there is a scrub included, that left an amazingly, soft skin at the end. The relaxing massage afterwards was done on the upper floor. I must say, that I am more a fan of the stronger massages than the relaxing massages, but the quality of it was very good. I went to this Spa together with a friend, who said it was the best massage ever, so don’t listen to me in this case! I have the chance to go back and try another type of massage and I will definitely let you know what I’ll think about it! One thing that I found a bit difficult, was the space to change. They divided one space into men/women, but with only one shower in the female part. There was a good control of not letting enter people at the same time in the changing room, but it limited your choice of how long to stay in the relax-area where you got offered tea and delicious turkish sweets. The Aire de Barcelona is a Hammam experience situated in the Born. The organisation is really good. My friend lost her locker-code and received help within minutes. The area downstairs is flawless and very beautiful. Different areas let you relax between Hammam, scrub and whirlpool. After the Sauna there is a bath that is cooled down with real ice – just spectacular! The massage was also here too relaxing for me, but the quality and areas were really beautiful ! Afterwards in the shower area everything is available and you just have to ask – if it is a hairbrush or anything similar! Definitely one of the best experiences! Read all about my experience in detail here. The Ambrosia Spa let’s you enter a very in a nice and welcoming ambience. The waiting room is comfortable and offers a couple of Magazines to read. What I really liked is that they offer you the possibility to choose from different oils. for the massages. The massage was good and the “active” oil that I chose gave me a warm feeling on my back. Even some time after the massage had passed by I could still feel and enjoy this. The massage felt different than the once I am used to. The masseur brought a lot of energy into the massage and did some movements, that felt like a way to get bad energy out of your body – not that I believe in this. All in all it was a good experience and I can definitely suggest to go there for a great massage. The manicure was one of the bests I had, but this quality took a lot of time. I was probably 90 minutes in there, counting only when they started to work on my manicure. The internet connection is also a bit limited, so i couldn’t even go on with my work during that time. All in all a good place to go and definitely a lot of nail colours to choose form. 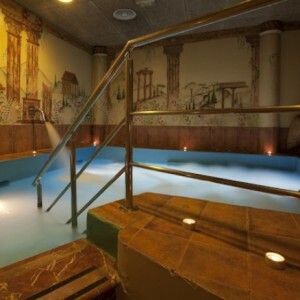 The Aqua Urban Spa is situated in the northern part of Barcelona’s centre. The venue is not the newest but has a nice flair to offer. I lived an incredible experience in this spa: A four-handed Massage. I must say this is one of the best experiences you can image!! You never know or expect the additional two hands to work in sync with the first two, so you’ll get surprised all the time. Absolutely to try !! The massage was a very relaxing one and I must say I am a bigger fan of stronger massages. The spa route is personalised, to you have someone always checking on you and advising you how long to stay in the sauna or the most humid Hammam I ever tried! I hope that these information are helpful and I will continue to add other Spas should I find some that are great and worth to enter the list 🙂 Travelling to Barcelona soon? There are also blog posts about General Travel Tips for Barcelona, the best beach alternatives, Barcelona’s main areas, Cultural Highlights, Best Clubs, City Escapes, Best Restaurants and best Pizza Places. And if you have any questions just write me a comment further down! Ah, why didn’t I spa when I was in Barcelona earlier this summer? My top pick would be Aire de Barcelona – I’m all about the pools. Yes, if you are about the pools, Aire is def an AMAZING place!!!! Maybe you’ll be back some other time and can try it out then! Have a lovely day!